1. You’ve worked as a Spanish bilingual teacher and are also fluent in French. Tell us about how and where you mastered these languages. My mom was Brazilian and my father is German. As a kid, I was always exposed to several different languages at home. When we moved to California, learning Spanish was relatively simple, and I spent many months after college in Central America refining my skills in Spanish. I then returned to California to work with San Francisco’s Mexican and Central American population, teaching grades 1 and 3. Also, at 17, we moved to Geneva, Switzerland. Believe it or not, I didn’t want to go. In the beginning, I rebelled, but then decided to make the best of it. I took three hours of French classes a day and dedicated myself to the language. I enrolled in University of California, Davis (UC Davis) a year later and chose to major in French. After college, I bought a one-way ticket to France and decided to apply my knowledge to real life. I was a bit idealistic at the time: no job, no work visa, little money. I spent nine months working on farms around the countryside and had one of the greatest experiences of my life. 2. What was your life like when you were in grade 5? As a kid, I moved around a lot. Moving from place to place helped me become the open-minded, accepting person I am today. I adapt easily to change and am resilient in stressful situations. I didn’t always love moving around during my elementary school years. Making new friends and always saying goodbye is stressful, but I am grateful that I was given the opportunity to grow from these experiences. As Graded is somewhat a transient community, I continue to struggle with goodbyes and new friends. I know many of our students deal with this reality all the time. 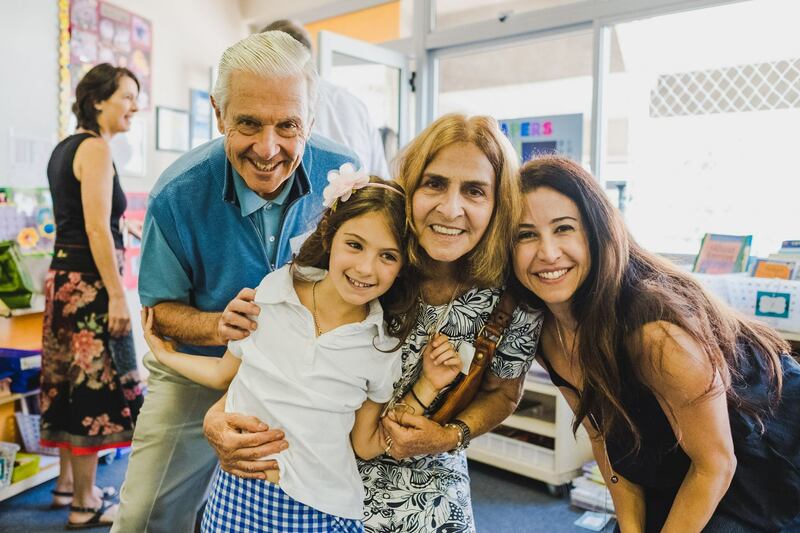 After all is said and done, meeting so many wonderful, diverse personalities is what makes Graded a wonderful place to be. 3. What’s the first thing that comes to mind when you hear the word “fun”? Fun is getting out of the city and enjoying nature — the beach or the mountains, in the company of family and friends. That’s ALWAYS fun! 4. What type of museum do you most like to visit? I used to complain when my parents dragged me to art museums as a child, but ultimately, I gained an appreciation for art. I like going to modern art museums. São Paulo's Pinacoteca and the MOMA in New York are two of my favorites. When I visit a museum, I try to imagine what an artist was feeling or thinking when he/she created a piece. 5. What’s one guilty pleasure you enjoy too much to give up? Listening to true crime podcasts. 6. What do you hope scientists will completely figure out some time in the next 20 years? I think we live during a pivotal time in history. It is so exciting to be in education, because the kids we work with every day will be making decisions and discoveries that will affect humanity as a whole. My hope involves sustainable energy and zero waste. It is hard to imagine what Earth will look like in 20 years, if we continue with the current rate of consumption. I would like to see society make huge shifts in its use of resources. Science and technology, along with a radical human mindshift, is our only hope for survival. I know this sounds a bit radical, but it’s true. If we can’t figure out how to live sustainably, we will need some retirement communities on Mars for us to live out our final years. 7. What creative activities do you engage in? I love cooking. My favorite thing to make is vegetable stir fry. The thing I love most about cooking is watching loved ones enjoy the work and energy that went into preparing the meal. I also like making art, especially woodblock and linoleum prints. I play some guitar, but I often find myself getting frustrated because it is so hard. I guess I’m not patient enough. In general, I am very creative. I love dancing and listening to music, doodling, or just plain coloring. 8. What are the best ways to inspire or motivate people? The only way to inspire people is by example. People feel inspired when they see others inspired. We are generally attracted to people who are happy or people who appear to be doing grand things with their lives. When I am around people like that, I tend to also feel happy or motivated to do something larger than myself. Being around inspired people leads to conversations about inspiration and the desire to make a difference. I could never expect to inspire my students if I didn’t feel inspired, or in my case, feel a total love for being with young people. 9. What’s your favorite season of the year? Why? I love spring. Every season has an emotion or a way of being that goes along with it. Autumn is nesting and winter is resting. Spring is time to start new things and to fall in love. Sometimes I don’t like to admit this about myself: I am a competitive person. Graded prepares students for the competitive world we live in. I don’t mean to say we are preparing our students to be competitive. On the contrary, we are teaching students collaboration and communication skills. But at the same time, through the rigorous demands of our curriculum, we are preparing our kids for hard work, giving them stamina, and exposing them to high-quality challenging content and skills. I often refer to Graded as one of the best schools in the world, and I can say that with conviction. 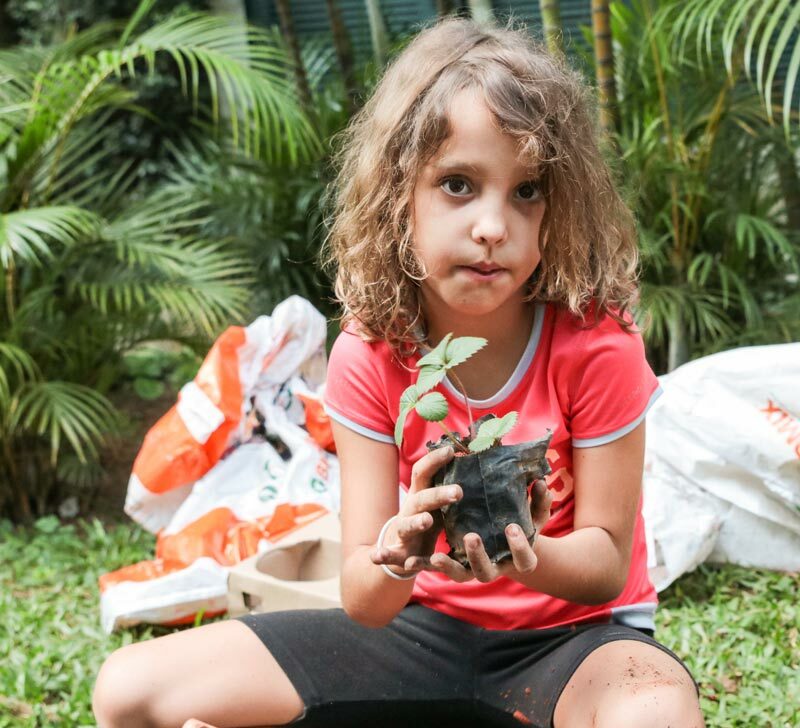 A school’s green initiatives might not make a significant difference in a city that produces roughly 20,000 tons of waste every day. However, an ecologically-conscious mindset, developed at a young age, may influence an individual’s decisions over a lifetime. 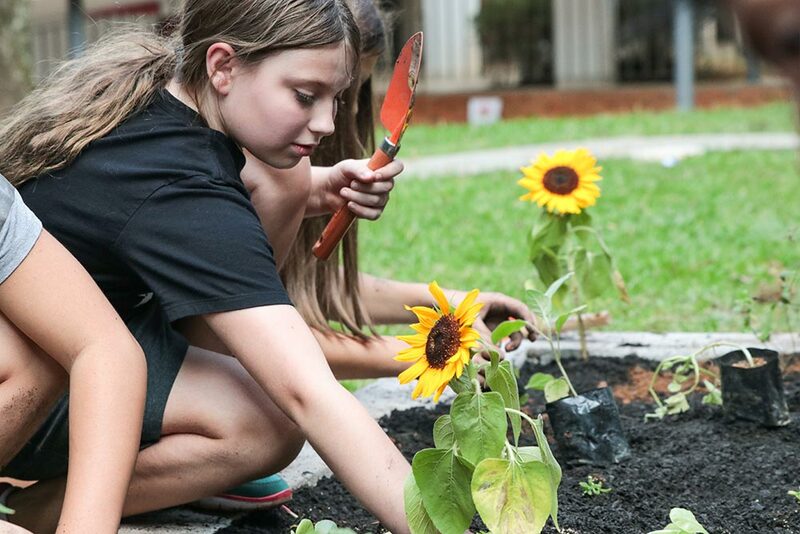 At Graded, the Lower School Green Club encourages students to engage in sustainable living practices and raises awareness of environmental issues. 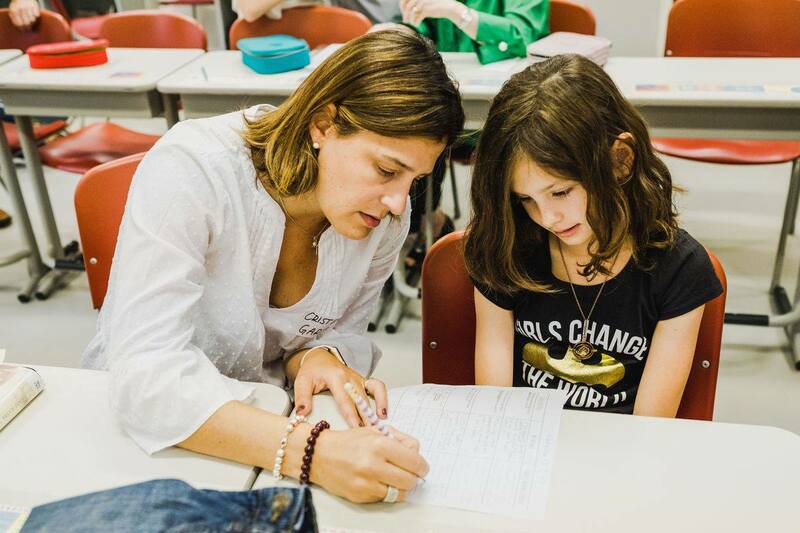 The club, led by grade 5 teacher Patricia Gehrels and grade 3 teacher Leigh Ann Fitch, meets every Thursday after school in Gehrels’ fifth grade classroom. 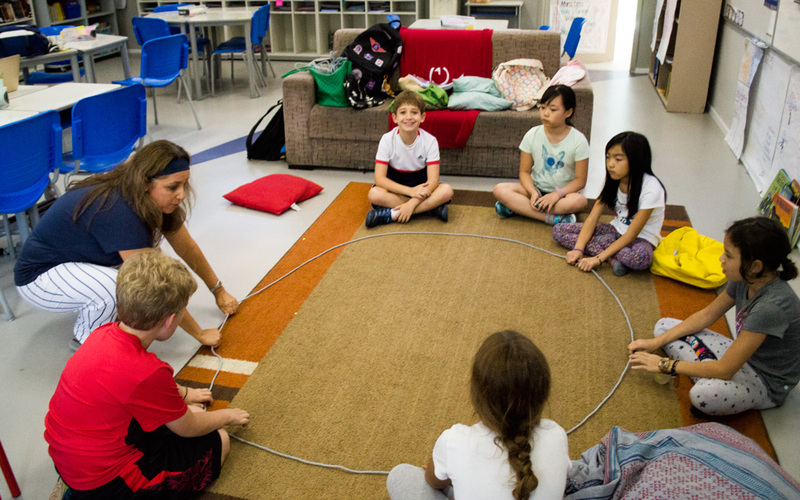 After dropping their backpacks and grabbing a handful of healthy snacks provided by the teachers, club members gather around in a circle in the front of the classroom. 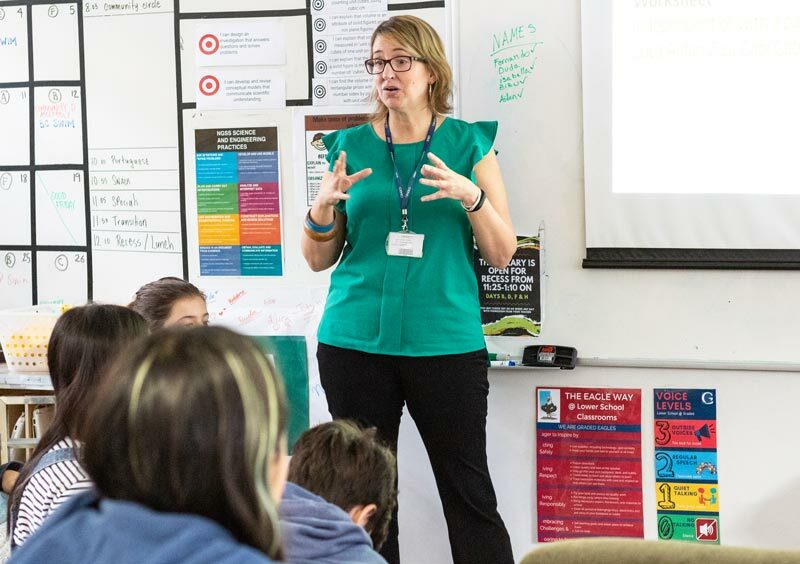 Students learn and discuss a variety of topics: recycling processes, insects, ecosystems, and gardening basics — to list a few. This semester, students opted to start a garden at Graded. To some, planting a garden may appear to be a simple task, but there is more than what meets the eye. 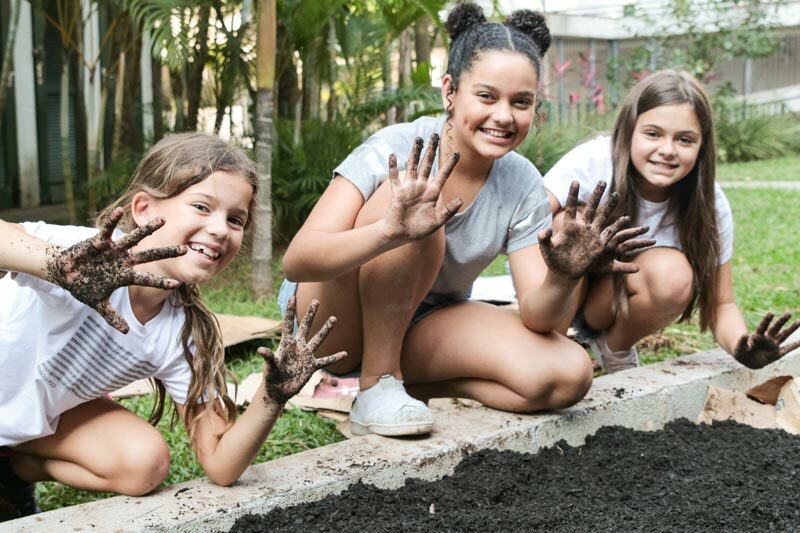 Over the course of several weeks, students patiently and diligently mixed worms into the soil, raked leaves, cleared the sod, and added layers of cardboard beneath the compost before planting seeds and flowers. As Valentina aptly concluded, “Graded could be a greener school, and if we work together we can make it happen." 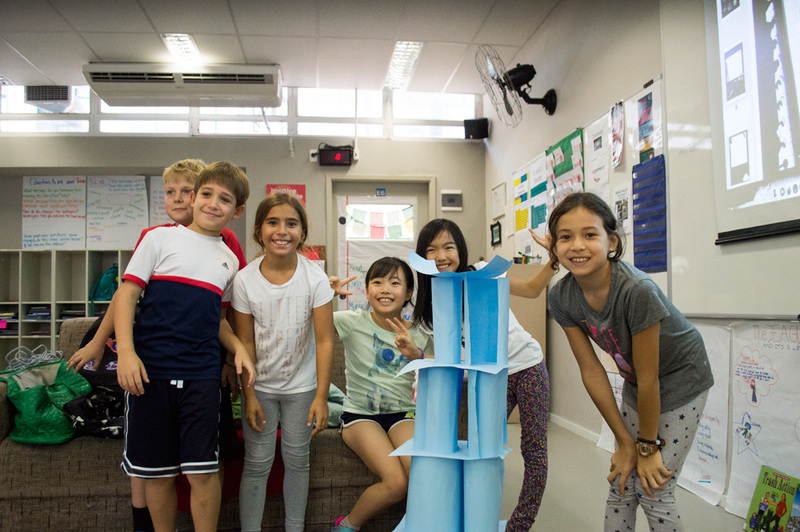 The Lower School Green Club meets every Thursday from 3:15-4:00 pm in Patricia Gehrels’ E01 classroom. Students in grades 3-5 are welcome to join. For more information, please contact Patricia Gehrels at patricia.gehrels@graded.br. 1. 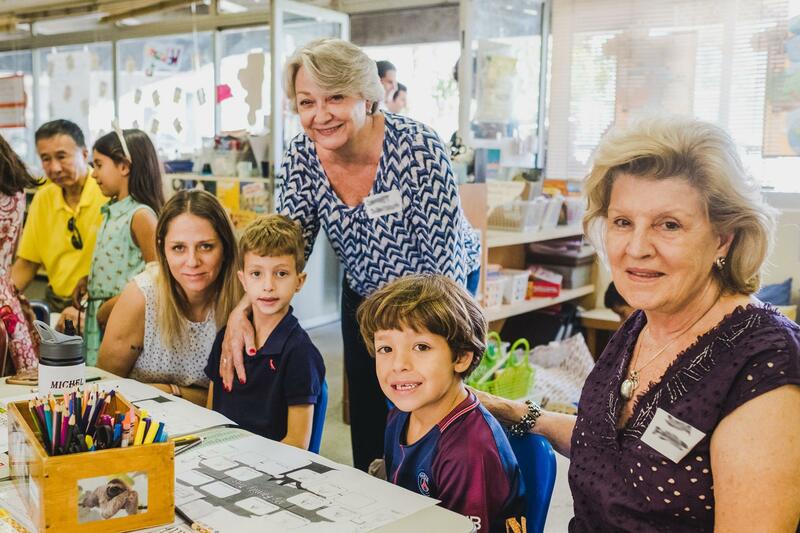 Before coming to Brazil, you taught lower school in Houston, Paraguay, and Dubai. What thread of teaching or learning winds through those experiences and feeds into what you do at Graded? 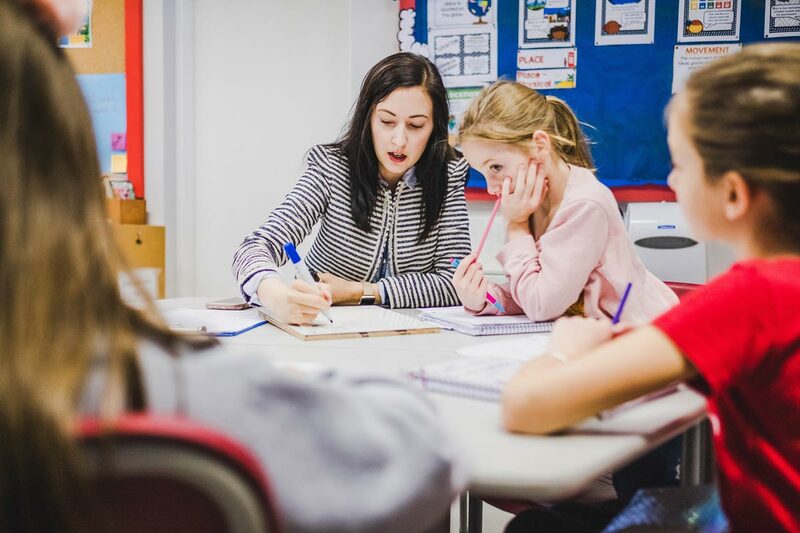 Starting my teaching career in Houston allowed me to gain an in-depth knowledge of so many different skills and aspects of the general classroom. 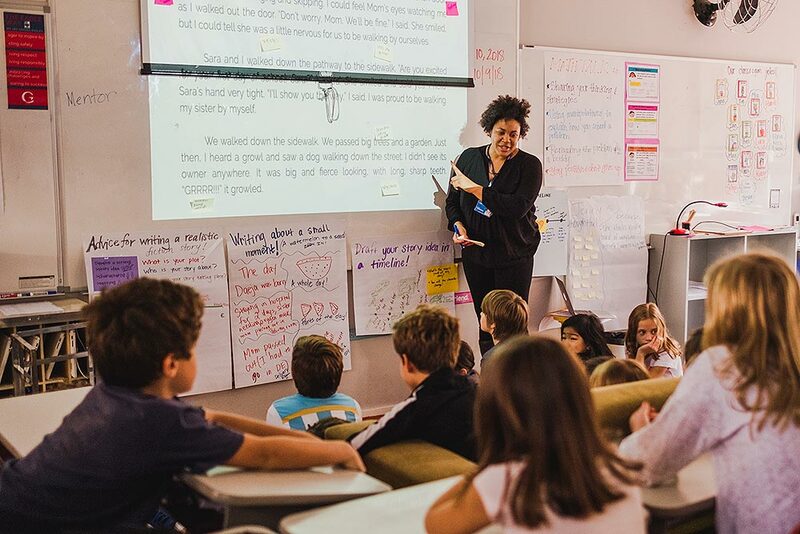 I initially began teaching with a specialization in English Language Arts/Literacy. Those were the only subjects I taught during my first two years of teaching. Specializing in these subject areas also opened doors for me to train and get certified in English as a Second Language (ESL). 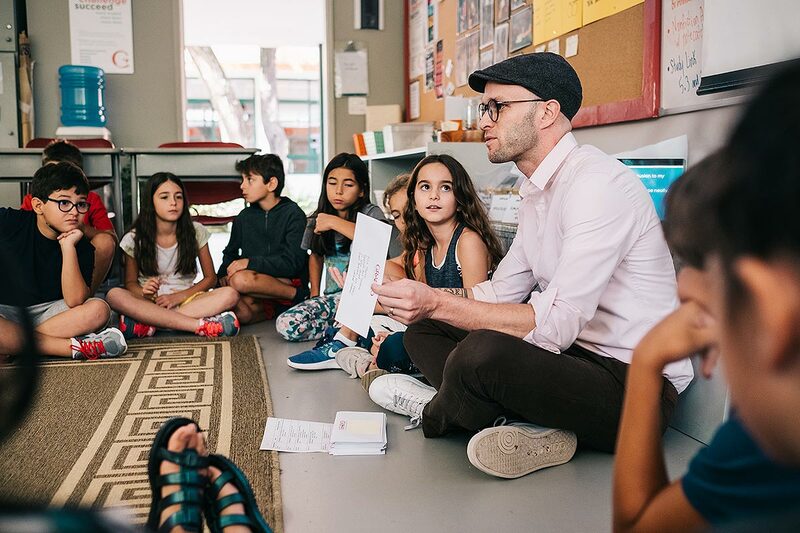 Teaching in private, public, and for-profit educational settings has broadened my experience and connections to so many different types of children and learners. 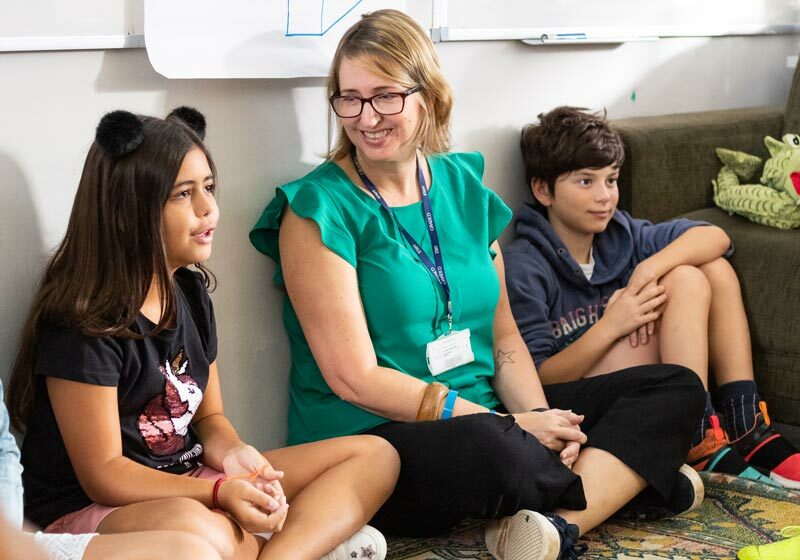 These interpersonal skills and knowledge in language have allowed me to adapt myself and my teaching to fit the needs of my students, no matter where in the world I teach. Just coincidence. I’ve always loved the upper grades. I started in grade 3, moved to grade 2, and then eventually found my home in grade 4. I feel a strong connection to this age level and content area. 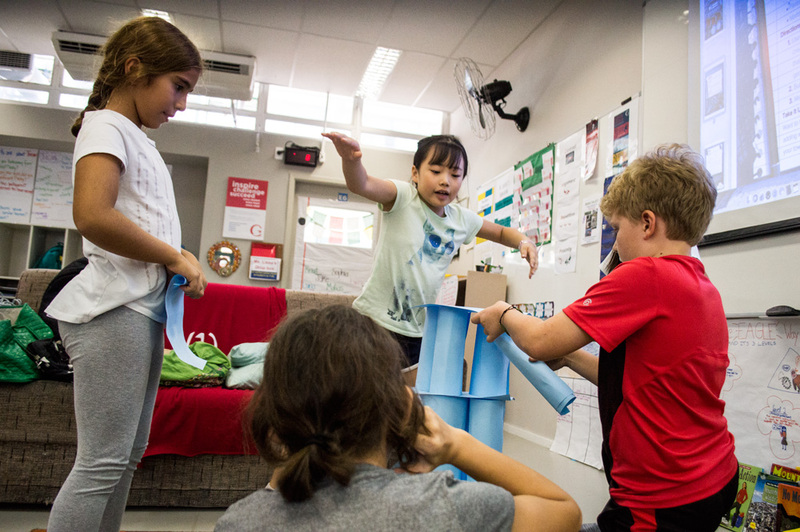 Students at any age have lots of potential and capabilities, but grade 4 seems to be the age when responsibility and accountability kick in for young learners. I feel kids in this grade are ready to take control of their learning experiences and drive in the direction they'd like their education to go. 3. You come from a family of artists. Tell more about that and about where art fits in your life. My mother is a singer and actress, currently specializing in educational/historical theater. She performs historical reenactments of legendary people of the past. Throughout her reenactments, she speaks about the importance of reading and education. Her reenactments of Harriet Tubman and the Underground Railroad are based on “turning around and helping somebody” – mainly the young or those in need. She preaches about the power of reading and how books open worlds of opportunities. My father is a journalist and guitar player, and he was once a DJ. His passion for communications, expression, writing, and literature was a part of my childhood. In saying this, I think those traits have transcended into my career choices. 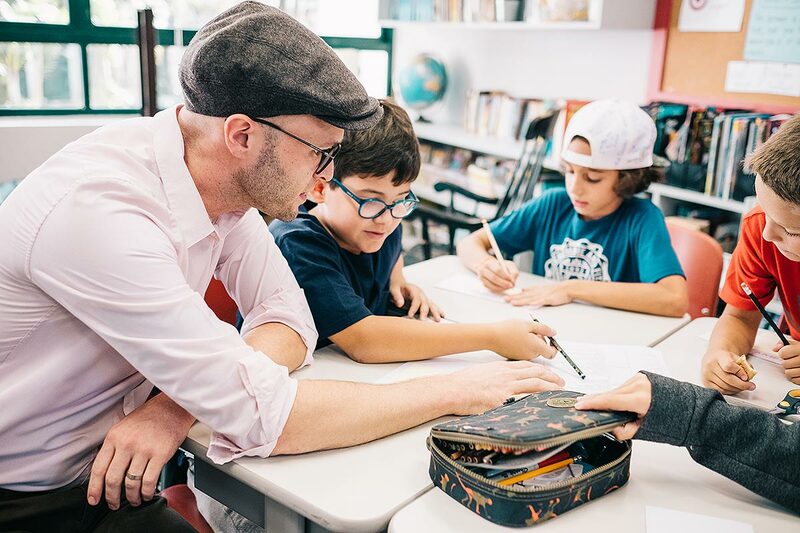 As an educator, my first priority is making sure all of my students learn compassion for all people in the world, grow strengths in literacy, and become effective communicators. 4. Who is the greatest leader of all time? In my view, Mohammed Ali and Mother Teresa are the top two greatest leaders of all time. Ali courageously spoke out for human rights and racial equality during one of the most conflicted times in American history. Mother Teresa selflessly spent most of her life helping those in need. Courage and sacrifice are two traits that amazing leaders possess. Those leaders give more than themselves for what others need. 5. Did you work while you were in high school or college? What kind of jobs did you have? I did. I worked lots of different jobs including front desk clerk at the YMCA, an instructor at a private Catholic school, a full-time nanny, and a receptionist. Before I started teaching, I worked for four years in real estate as an assistant to brokers and agents. I also started a small pet care business. Both of the last two jobs were enjoyable and fulfilling. I learned a lot! 6. If you could write a best-selling book, what would you write about? I would probably write a book about the faith and endurance everyday people have in following their dreams and living out their lives to the greatest purpose. There are so many amazing “normal” people walking around these days, people who are doing extraordinary things to make our world a better place. I’d hope a book like that would encourage others to take advantage of the good we all can do to make everyone’s lives better. Folks always love a good self-help or trials and tribulations story. I know I do. 7. What’s the best way to resist peer pressure? Building your own sense of self and having a strong identity helps a lot, but that definitely takes time. 8. You love animals. Tell more about your experiences founding and owning a small animal care business. It was a fun opportunity that came along after pet-sitting for a couple of friends. They told their friends, and then they told their other friends, and it just began from there. The business catered to owners of large dogs and exotic animals, such as iguanas, diabetic cats, and snakes. I never knew how lucrative pet sitting and animal care could be. However, once I was able to make a name for myself and maintain a steady clientele, I realized how much work actually went into running a business. I had a great time caring for so many different types of pets and helping people find someone they trusted to keep their animals safe. It’s definitely something I would love to do again. 9. What’s something about you that no one knows? I have a nostalgic love for Winnie the Pooh. I still have a huge Winnie the Pooh bear in my mom’s storage unit that I got as a gift for my 16th birthday! My favorite thing about Graded is my students and their families! I’ve loved building relationships with each of my students. They have so much light and love to spread. I hope that I can help them maintain that light and continue to spread love no matter where they go in this world. Oh, and I love Dona Emilia’s lunches. Music has been shown to help develop concentration and reasoning skills, improve language fluency, promote motor skills, and inspire better performance in technical disciplines such as mathematics and physics. At Graded, the Lower School Music Program prepares children to join the Middle and High School ensembles, providing students with a variety of experiences, from pantomiming and folk dance to improvising and composing. Our eclectic music curriculum involves two main approaches: conceptual learning and music literacy. We expose children, throughout their musical education, to pitch, length, form, dynamics, and meter. We teach music literacy sequentially, based upon the Kodaly methodology by using folk songs from various cultures. Students not only sing these songs but also learn to play the recorder. A musical education provides each student with a new mode of expression, clearer ideas, better memory retention, and enhanced problem-solving skills. Children, specifically, benefit from singing songs, which allow for rapid enunciation improvement. Singing can also spark significant increases in vocabulary. Socially, the practice of chamber music (music performance in groups) helps one build interpersonal skills through non-verbal means. Music is an especially apt medium for the development of a balanced and harmonious personality. Experts speak of a “musical intelligence,” one that is not only intrapersonal (involving control over individual feelings and movements) but also interpersonal (involving the ability to understand one’s place in the world through relationships with others). Ensuring that Graded students have access to the extraordinary benefits of a musical education in childhood has been one of my primary professional objectives over the last twenty-five years. More recently, however, I have also taught courses for aspiring music educators. In these classes, I stress the importance of having a solid background in music and education and staying up-to-date with national and international instructional methodologies for childhood music education. Teaching children how to sing properly through vocal training is also crucial. 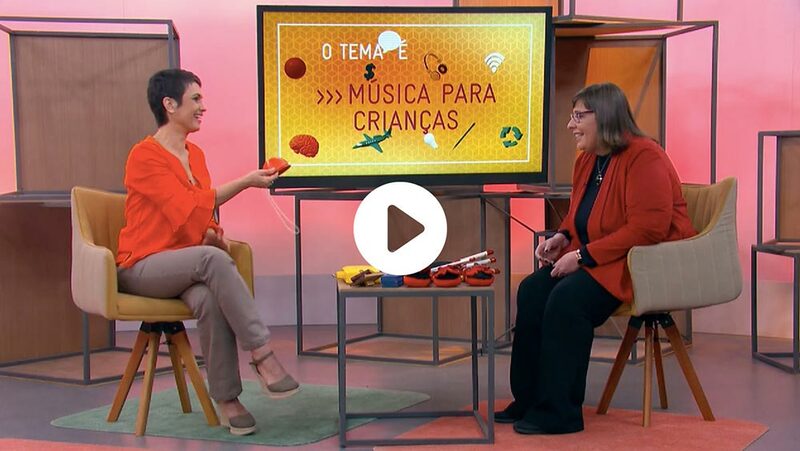 I am honored and thrilled to have shared some of my experiences as music instructor – for children and adults – by answering viewer questions on TV Globo’s Como Será? Click here to watch Olga Molina’s interview (conducted in Portuguese). 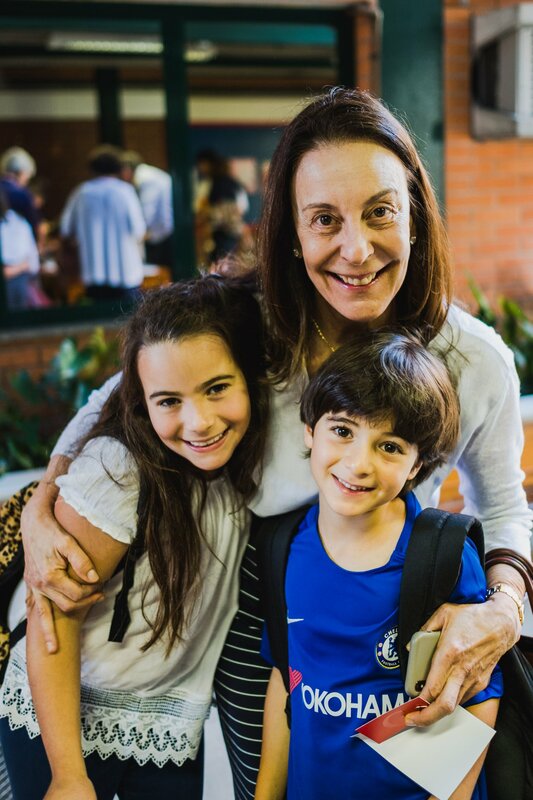 Patricia is from São Paulo, and her family is from Paraguay. 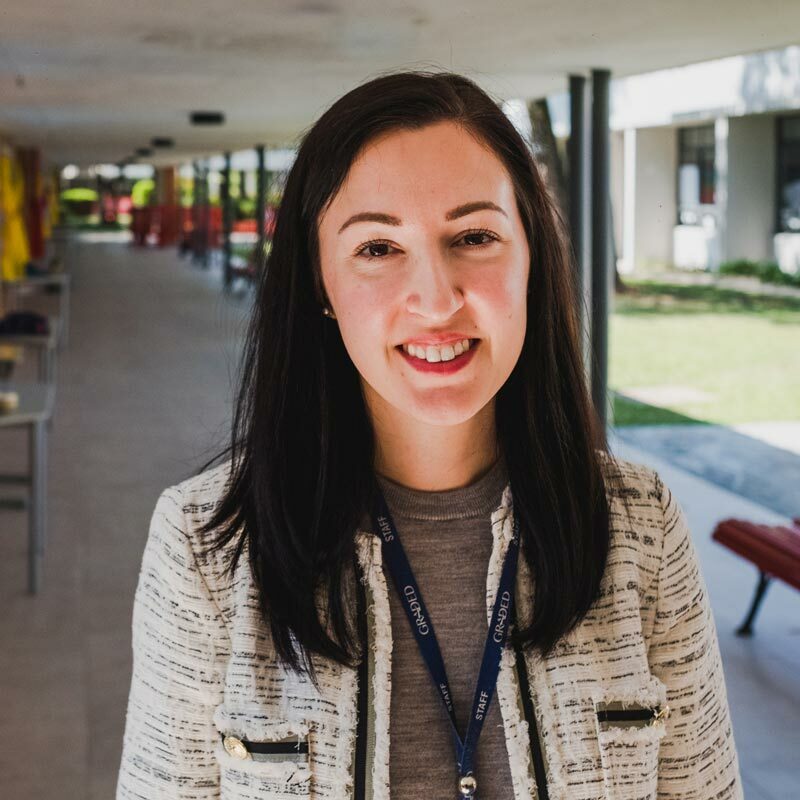 Her first teaching experience was at the age of sixteen as an ELL (English Language Learner) tutor. 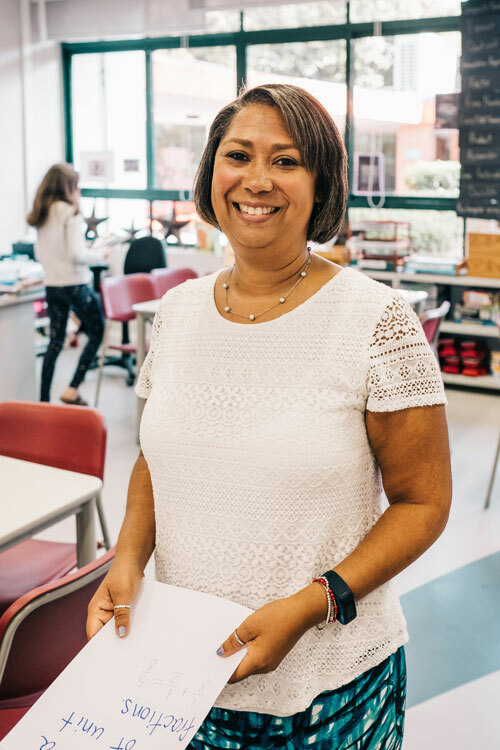 Patricia has taught both middle and high school students. 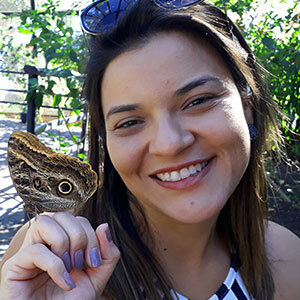 She received a Bachelor of Arts in Spanish and Portuguese language, a Bachelor of Education from Universidade de São Paulo (USP), and a Master of Arts in Spanish Education from São Paulo Catholic University. 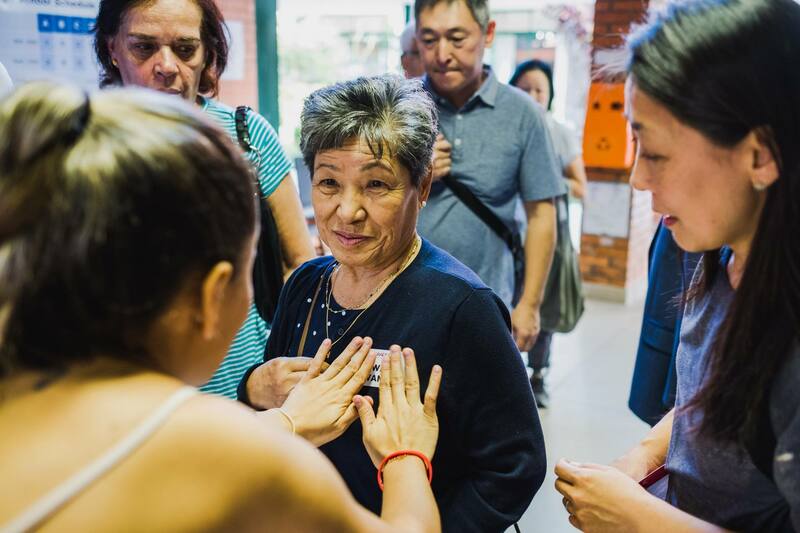 When she is not at school, Patricia enjoys traveling, attending music performances, spending time with her husband and son, and dancing. She is looking forward to joining the Graded community! Stephen is coming to Graded from London where he worked as a middle school humanities teacher. 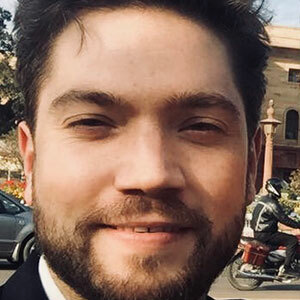 Internationally, he has worked at the American Embassy School in New Delhi and the Walworth Barbour American International School in Israel. Stephen was a Fulbright scholar and spent a year teaching and learning in Vietnam. He began his teaching career as a public school educator in New York City. He has earned a Bachelor of Arts in French and history from Seattle University, a Master of Arts in history from University of California, San Diego, a Master of Science in TESOL from The City College of New York, and is currently completing a postgraduate program in digital education from the University of Edinburgh in Scotland. Stephen will be teaching Lower School ELL this year at Graded and is excited to work the talented colleagues in his department. The opportunity to live and work in Brazil is a childhood dream for him. Outside of school, Stephen enjoys going to the theater, cooking, and writing. 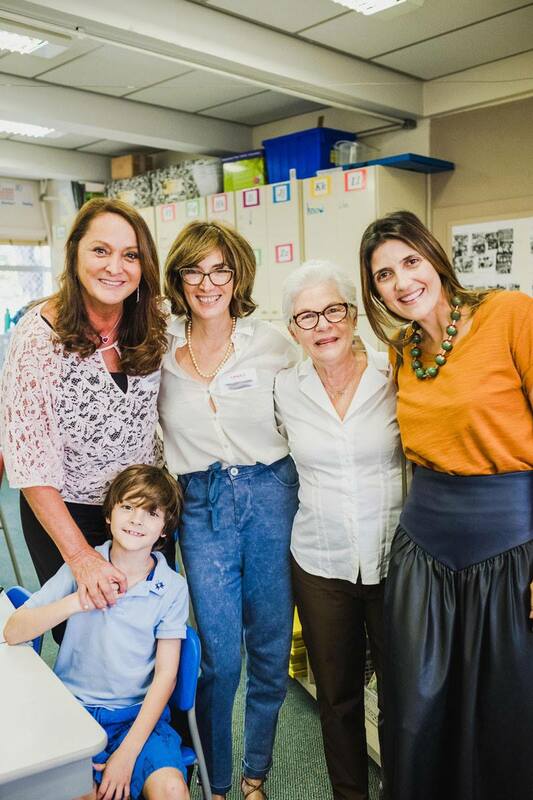 In March and April, Graded’s Advancement Department hosted four Grandparents and Special Friends Days for each of its Lower School learning communities. 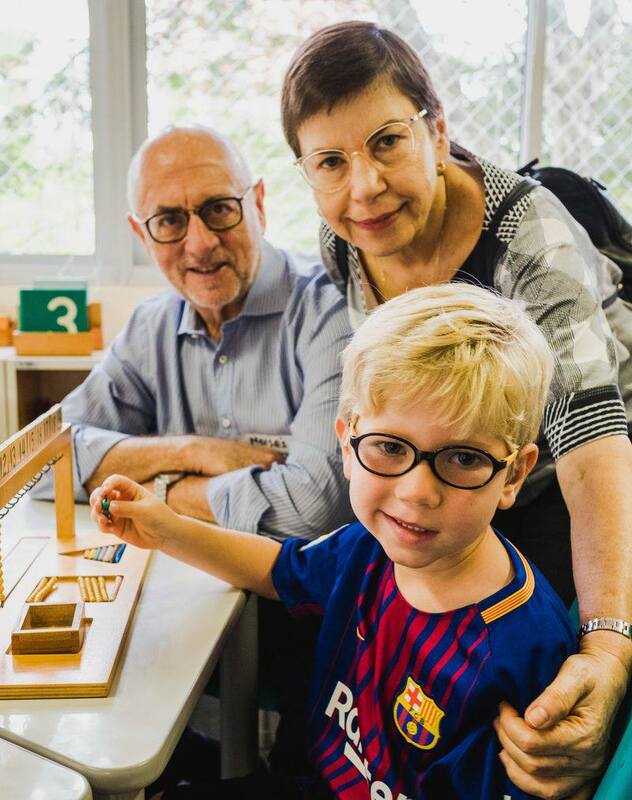 Grandparents, parents, family members, and friends spent the morning at Graded enjoying a student-led assembly, visiting the classroom, and getting to know one another over refreshments. It was a privilege for us to welcome guests who play such an important role in our students’ lives. Graded’s Advancement Department is responsible for areas at Graded which serve to strengthen the institution including fundraising, internal and external communications, alumni relations, community relations, and public relations. I recently finished a most profound read entitled The End of Average: How We Succeed in a World That Values Sameness by Todd Rose, Faculty Director of Mind, Brain, and Education at Harvard University. Alan November, Keynote Speaker at Graded’s iNNOVATE 2017 Conference recommended it to me. In his work, Rose states that averages exist everywhere. Averaging can be helpful for an airline to determine an estimated flight time or for a grocery store to approximate how much milk to purchase each week. However, when it comes to students and learning, an “average” falls short. The practice of averaging a student’s results over time was influenced by Frederick Taylor’s theory on efficiencies and systems in labor productivity. In the early part of the 20th century, Taylor, often referred to as the first management consultant, introduced the idea of standardizing work in factories to maximize efficiency. This notion required workers to conform to an average series of actions. The philosophy was later adopted by schools and continues to impact classroom structure today. Executing this practice, a teacher delivers to learners at the midpoint, meeting the efficiency need. However, students at both ends of the learning spectrum miss out. 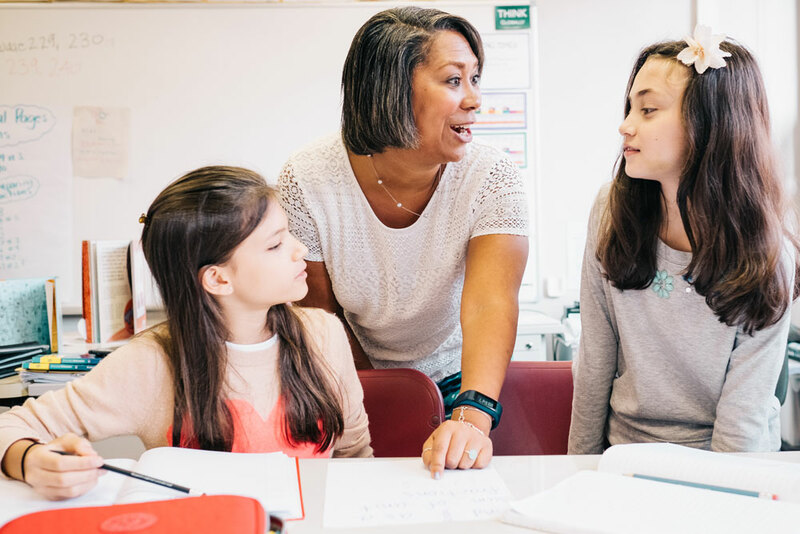 By focusing on personalized learning, we are aiming to meet each students unique learning needs. 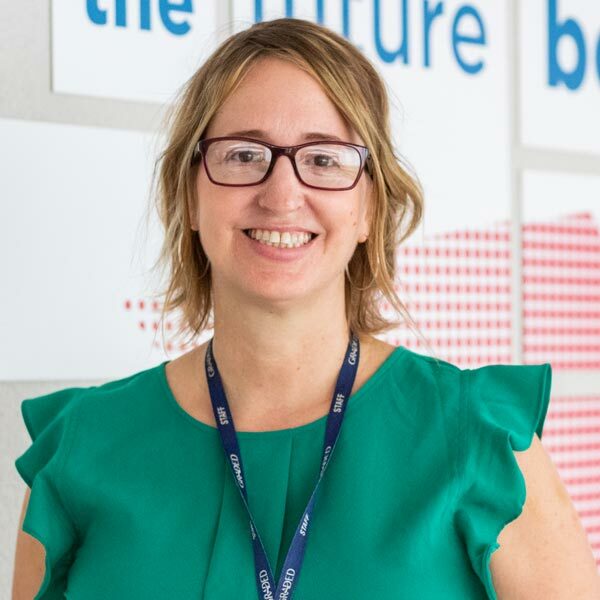 What we are finding in recent research, and what is confirmed by Rose, is that this focus on “sameness,” to ensure maximum efficiency, is detrimental to learning. Let’s take reading, for example. The "sameness" philosophy and a Tayloristic focus suggest that every child learns at exactly the same moment. Simultaneous skill acquisition would be easy and efficient for the teacher, but humans do not process information at the same pace. Students don’t learn to read on the same day or even in the same week. There is little or no correlation as to when a child learns how to read and their long-term achievement or future success. 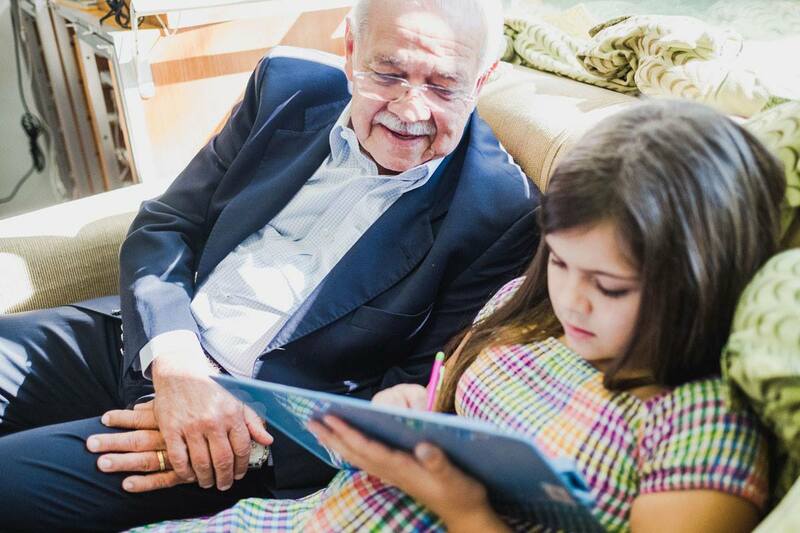 We watch reading develop over time, as a student’s ability and comprehension improves. 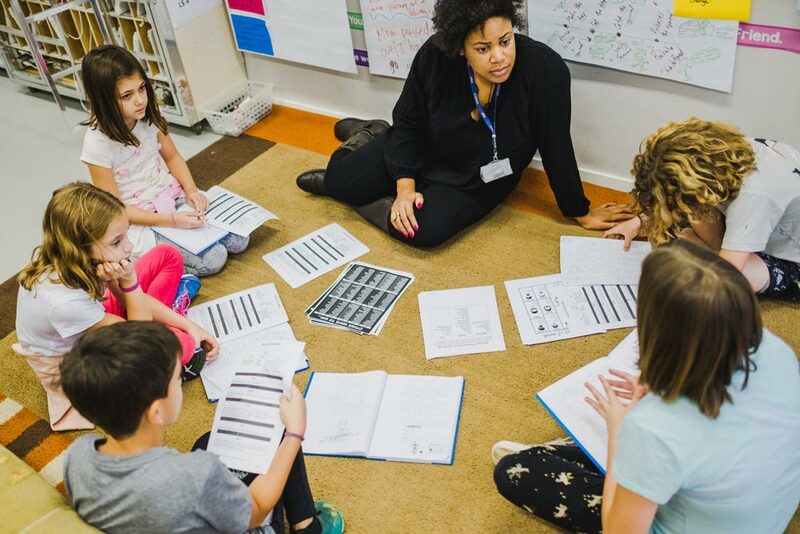 This individualized pace and process of learning is central to Graded's belief that a grade should not equal the sum of a student’s results divided by a denominator. This average simply does not reflect an individual's longitudinal learning trajectory. It also assumes that all children learn identically and simultaneously. We know that this is not true. Similarly, when grades are used to rank students, the method falls short as a valid measure. In fact, in the End of Average, Rose addresses Ergodic theory and states that one can only use a group average to make predictions about individuals if two conditions are true: 1. Every member of the group is identical and 2. Every member of the group will remain the same. What is more important, and the focus of our grading reform efforts, is assessing the individual. In 2015, Graded discontinued averaging students’ grades to determine an overall final grade. Our decision to reform our middle and high school grading practices was influenced by the groundbreaking content of Ken O’Connor’s Repair Kit for Grading: 15 Fixes for Broken Grades and supported further by Rose’s The End of Average. Setting measures of growth for each student that are reflective of their abilities and their desired outcomes is our goal. In fact, it drives each student toward our Vision as a school: Individuals empowered to reach their potential and positively impact the world. Currently, our faculty are working with leading assessment specialists. 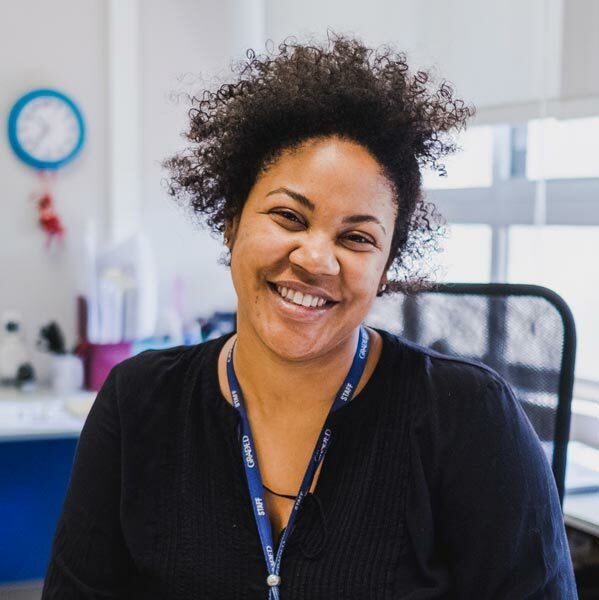 Together, they are developing and implementing evaluative methods that provide feedback students and deliver evidence of longitudinal growth. Graded is also not alone in our efforts to move from averages. At Brown University, for example, the institution does not average grades, nor does it report a GPA. Many other prestigious K-12 institutions and medical schools have adopted these same assessment practices. We welcome you to learn more and ask questions. If you are interested, stop by and join me in conversation. As I write to you, I am in New York attending the annual conference of the Association for the Advancement of International Education (AAIE). 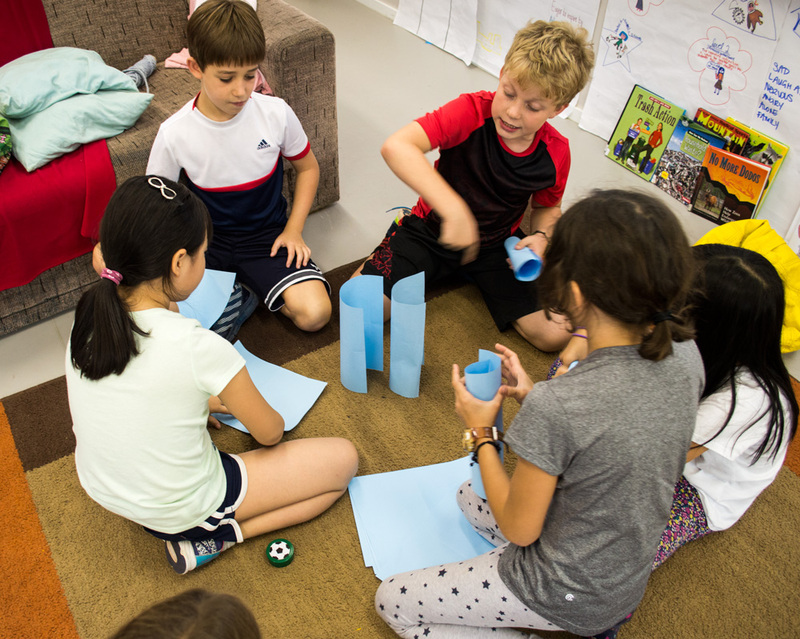 AAIE is a professional development center for more than 500 international school heads, which works to advance and advocate for global education. The work of conference keynote speaker Douglas Reeves is at the foundation of Graded’s grading and assessment reform practices. Dr. Reeves has worked with education, business, nonprofits, and government organizations throughout the world. The author of more than 30 books and 80 articles on leadership and organizational effectiveness, he has twice been named to the Harvard University’s Gutman Library Distinguished Authors Series and was named the Brock International Prize Laureate for his contributions to education. Dr. Reeves received both the Distinguished Service Award from the National Association of Secondary School Principals and the Parent's Choice Award for his writing for children and parents. As you are aware, Graded School is in the process of reforming its grading and assessment practices. Since my arrival in São Paulo in July 2015, no change has caused so much conversation and questioning. One of the reasons for this is that, as parents, we were “graded” under a traditional model. This model has not changed since the beginning of the industrial age, at which time it was formulated under the pretense that the “average” of students’ work over time would be the best way to reflect their achievements. However, over the past 10-20 years, what we have learned about adolescent brain development has turned much of that on its head. 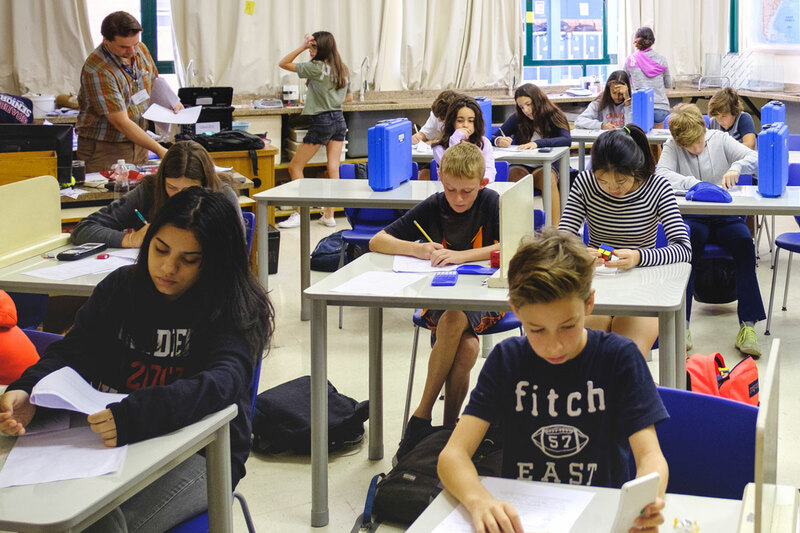 Graded is on the leading edge of a worldwide movement to reevaluate how to assess student learning. 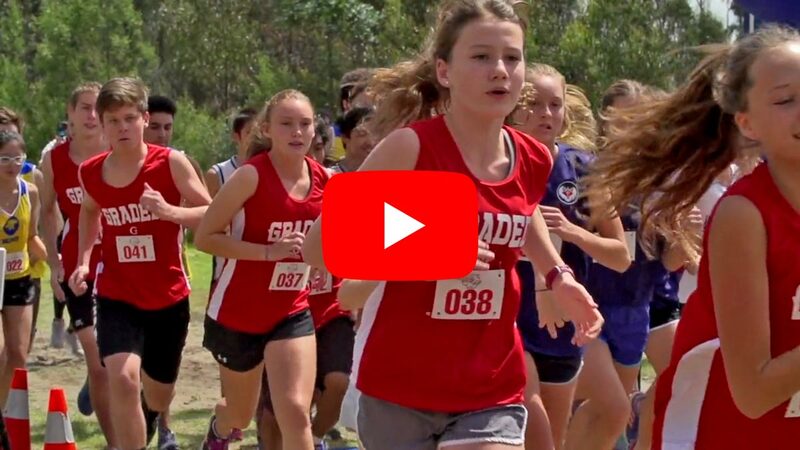 This reevaluation is occurring in a majority of well-developed international schools, as well as hundreds of US independent and public schools. 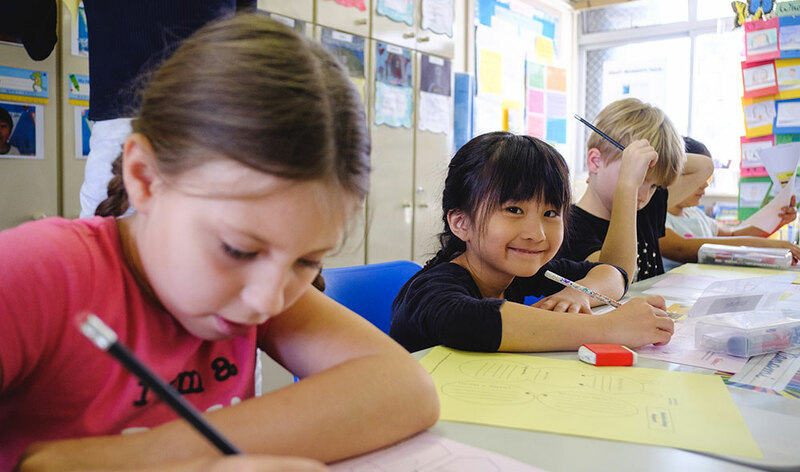 Over the next several months, I will be sharing a series of articles that highlight the ongoing changes to our assessment program and the related research on which it is founded. For now, I invite you to read Douglas Reeves’ exciting article, Busting Myths About Grading. I hope it causes you to reflect upon your child's experience and Graded. If it inspires questions, please reach out to me or any member of the administration. We look forward to talking to you. 1. As a Harvard undergraduate, what inspired you to major in Latin American History and Literature? First, I had always wanted to learn Spanish. My mom had told me it was my first language, because as a baby, I had a babysitter from Puerto Rico. Apparently, I came home requesting "carne" for dinner! In high school, we only had French and Arabic as language choices, so I wanted to be sure to learn something new in college. Second, I had decided to major in government, but when I attended my first class as a freshman, I was overwhelmed by more than 300 students and a famous professor lecturing from a pulpit. I didn’t like the competition among students to be the best in the class - it almost seemed like a job interview. So I immediately switched majors to something that would count my Spanish classes as credit toward my degree. I also wanted to visit South America in the future. 2. Who is your fictional hero? I always identified with Leigh Botts from Dear Mr. Henshaw, by Beverly Cleary. Leigh was a troubled, lonely child and I was, too. Being an only child raised by a single mom, I was always looking for attention from someone like an older brother or sister or father figure. The Graded Library has a copy of this book, if you’re interested in reading it. 3. As an Optimal Learning Services teacher, you work with kids who experience learning challenges. What drew you to this work? I have a natural tendency to help those who have less or who struggle. I started with animals and rescue pets, and then I helped younger students in school as a tutor. My first job was working as a playground supervisor for elementary kids when I was in high school. It is just who I am. Being able to focus on teaching children who don't necessarily get everything the first time hooked me on teaching. I think all children have the potential to show us their strengths. Sometimes you just have to look a little deeper to find them. 4. You’ve been both a teacher and an administrator. What’s your favorite part of each position? As a teacher, I enjoy the "ah-ha" moments that kids have when they understand a concept or master a skill. That is the best. As an administrator, I loved when parents realized their child’s gifts and relished them. I also loved seeing kids perform. In both positions, I have enjoyed attending students' basketball games and music recitals outside of school. They see how much I care about their "whole learning." 5. 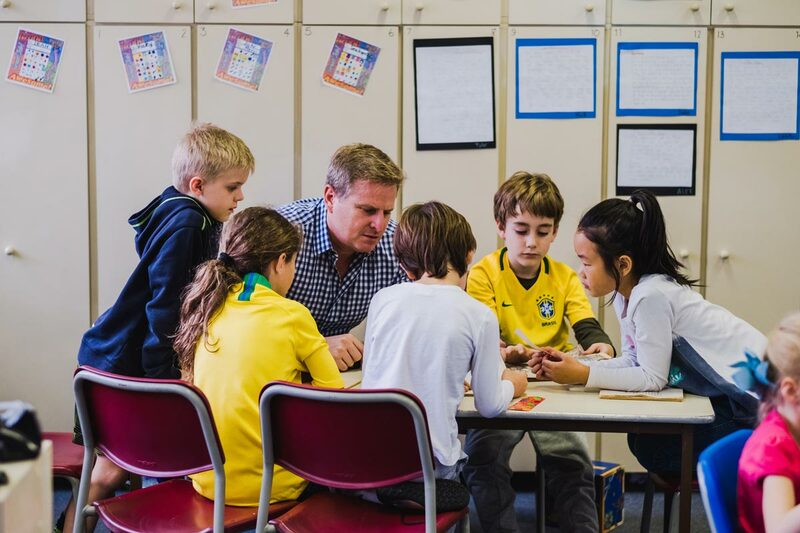 Why did you choose to teach internationally? I grew up with a mom from France and a dad from the US Virgin Islands. They met in Germany, so you know they were travelers as well! I was not happy at age eight when we moved to Morocco, because I was torn from my friends and all that I had known. But within a year, I was thrilled. I spent 10 years in Morocco, and it is now a large part of who I am. Since then, I have always traveled whenever I had the chance. The fact that I could connect my love of travel to my career was just a bonus. 6. What has surprised you about Brazil? The number of people here - just the immensity of it. I like the smiles on peoples’ faces and the friendliness that you experience everywhere. It is so pleasant. 7. When and where were you happiest? I have always been happy in nature, mostly when I’m under the sun. I love the beach, and I love to hear the waves. 8. What is it that you most dislike? I cannot stand when people are dishonest. That is my biggest pet peeve. I also don’t particularly like coffee or chocolate. People think I am crazy. 9. What is your greatest extravagance? I spend a lot of time and money traveling and enjoying very good food. I don’t mind spending a little more to have a party at the dinner table! I think that is where most of my money goes. Overall, relaxing and enjoying the good things in life make me the happiest. What I like most about Graded is the international feel. It reminds me so much of my school in Morocco, and I think children are lucky to have an experience like this. I made lifelong friends from my elementary and high school experience overseas. I hope kids here get that, too. 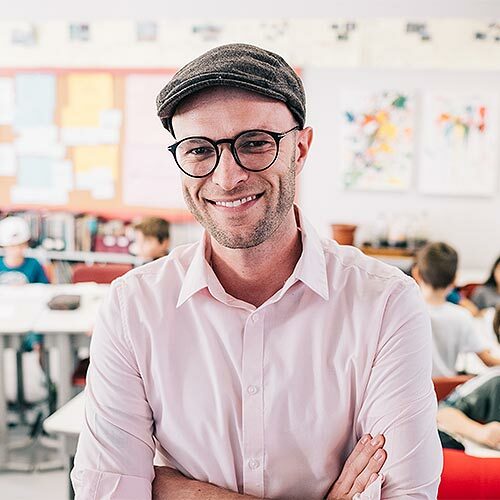 As an educator, I believe that part of my job is to inspire students - inspire them to become engaged citizens, find a career, pursue a dream, take a stand, feel empowered, take risks, act, try, fail and overcome, and find the meaning of success. How do I add all that to my curriculum when I teach them? Seven years ago, I participated in the annual Destination Imagination Team Manager training at Graded. In this training, I learned fun class management techniques, icebreakers, and different strategies to encourage student collaboration. Little did I know that I would find a way to blend curriculum with my ideas of good education. As a result, I started what I hope to be a life-long relationship with Destination Imagination! Our students need 21st-century skills, vital skills for a future that is difficult to picture due to the rapidly changing world in which we live. The ultimate goal of Destination Imagination is to find opportunities that inspire learners to try different approaches to solving problems. Destination Imagination is a global organization, present in more than 45 US states and 30 countries, with more than 150,000 students and 38,000 volunteers. 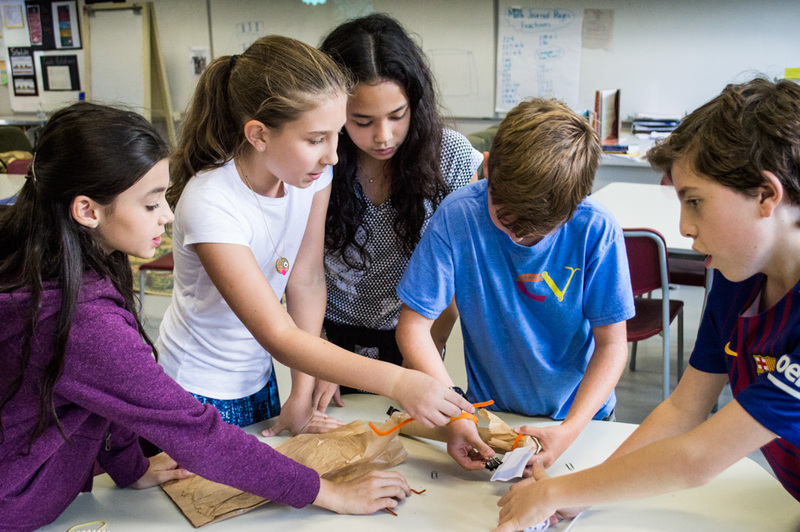 For over 30 years, this nonprofit organization has been providing a hands-on program that fosters students' curiosity, creativity, and courage through open-ended academic challenges in the fields of STEAM (science, technology, engineering, arts, and mathematics) and service learning. 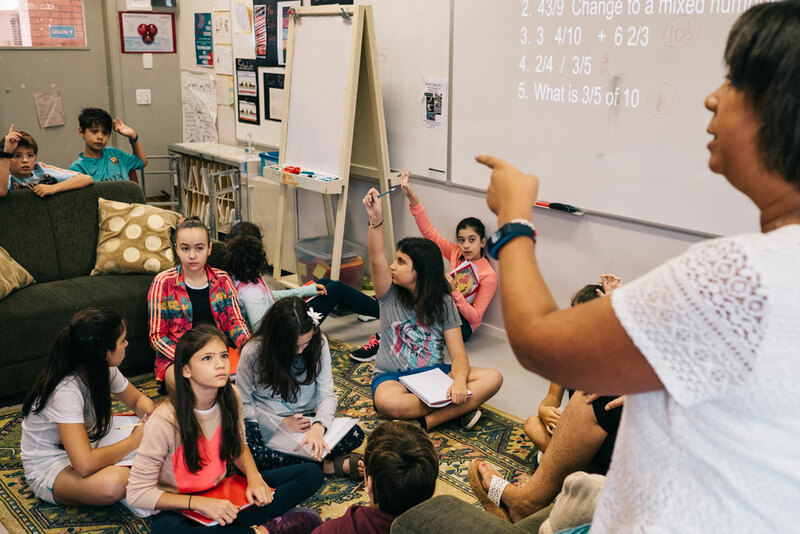 Students learn patience, flexibility, persistence, ethics, respect for others and their ideas, and the collaborative problem-solving process. At the end of every season, students and their teams get together for tournaments to present their solutions. 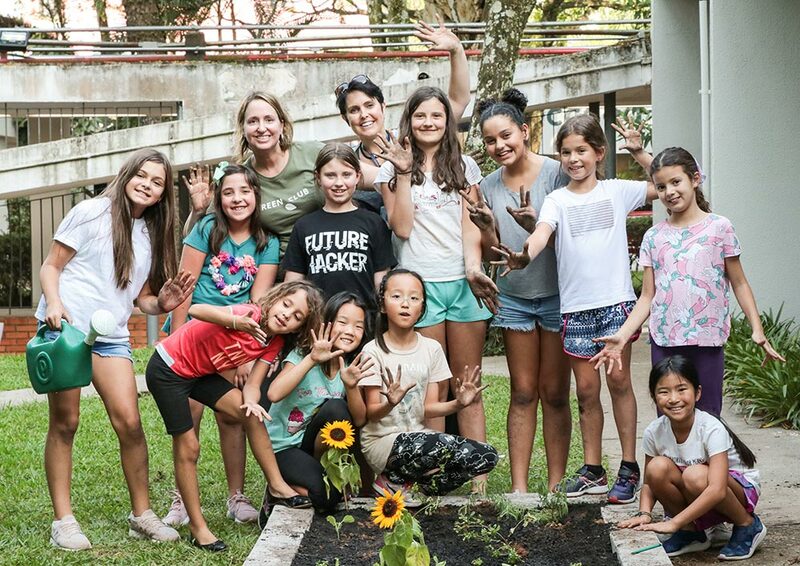 The Brazil Affiliate Tournament is a two-day event where teams from all participant schools get together to share and celebrate their creative solutions to the program’s challenges. This event leads to the Global Finals, a final tournament in May, in the US, where the best teams from all over the world compete. Participants not only present their solutions to a greater audience, but also have the opportunity to engage in different workshops, camps, and activities sponsored by Destination Imagination partners such as NASA, 3M, Disney, the Motorola Solutions Foundation, the Oracle Academy, Mayo Clinic, and the Project Management Institute Educational Foundation, among others. This year, the Brazil Affiliate Tournament will take place at Graded on March 16 and 17. We are excited to have this tournament at our school again and to welcome 130 young creative minds from grade 3-11. 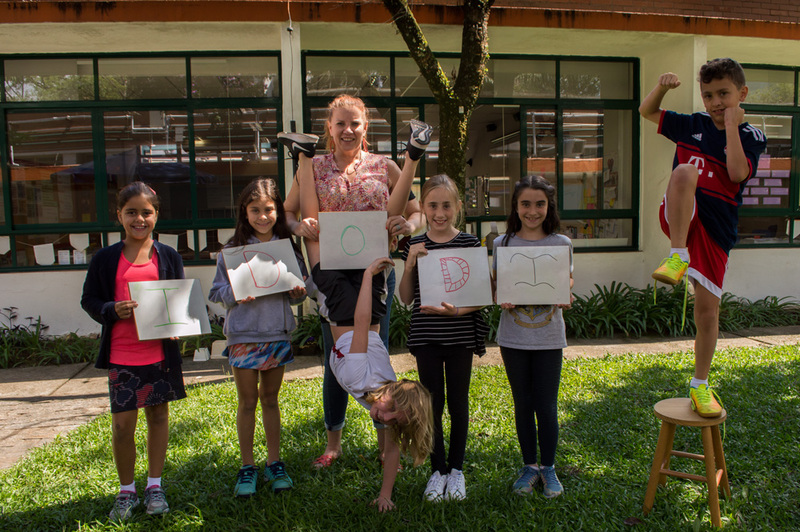 Participants will come from São Paulo, Rio de Janeiro, and Bahia and they have all worked hard to create an original solution to their STEAM and Service Learning challenges. 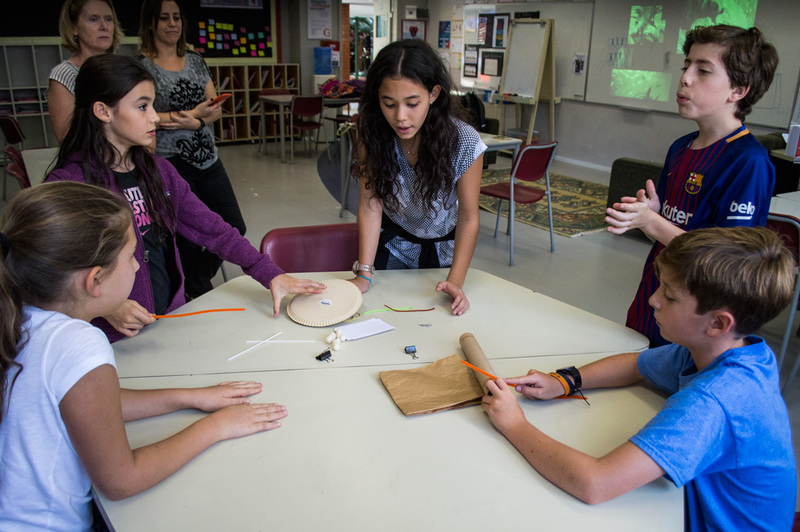 Graded has been offering this program as an after-school activity for 15 years. The feedback we received from former participants confirms the research findings about the benefits of student participation in extracurricular programs that foster creativity and teamwork. Some of these benefits include more active participation and creative solutions when working on given tasks, improved self-confidence and persistency, risk taking in sharing and elaborating ideas, flexibility in collaborative work settings, and awareness of one’s talents and strengths. Destination Imagination also teaches us, adults, to be guides and supporters, giving these young minds autonomy and allowing them to own their learning, becoming the protagonists of the process. The Destination Imagination experience profoundly touches the hearts of those who are or have been involved at some point. Everyone is welcome at the affiliate tournament, and participants are always delighted to have an audience encourage them! Destination Imagination is always looking for volunteers. Please do not hesitate to contact us at jennifer.kagohara@graded.br.